When going on an adventure trip, you will need more than a great travel backpack. A daypack is extremely handy for everyday use and provides quick-access to frequently used items. When traveling you’ll most likely have two backpacks: a main travel pack and a smaller daypack. The main travel pack is designed to carry all of your stuff. This is what you will use for clothes, toiletries, etc. Your daypack is intended to be used daily to carry items that won’t fit in your pockets. This is where you will store items such as camera, electronics, snacks, etc. You can also use this a small overnight bag if you do any small side trips that can’t accommodate your travel pack. 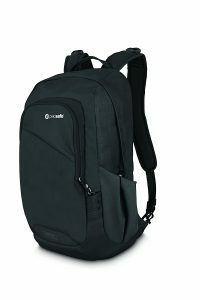 We took a look at some of the industry’s best daypacks for travel and here are our 5 Top Picks. The Daylite Plus is equipped with a large panel loading main compartment that provides accessibility to inside contents. There are also dual stretch mesh side pockets that provide additional storage options. A multi-function interior sleeve can be used for a water reservoir or electronics. There is a mesh covered panel to keep your back cool and fresh. The panel minimizes contact with the back of the pack itself and your skin. This allows air to get between you and the pack to prevent sweating. 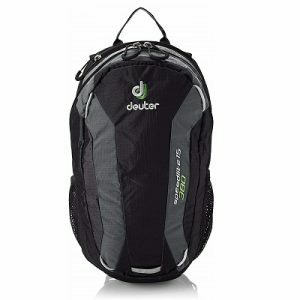 The Daylite is a 20L pack. This is the perfect amount of space for day hikes or daily city use. It will easily hold your jacket, snacks, water, keys, phone, and still have room to spare. There is also plenty of room to tote around a laptop or tablet. This pack is a frameless backpack, so there is no hard frame to keep the shape. Due to this, the Daylite will pack down really light if you need to store it in a larger travel pack. The hip and chest straps are adjustable for a perfect fit and customization. This is also a great feature if you plan on running with your daypack. Unfortunately, the Daylite is not waterproof. You can purchase an Osprey rain cover if you need protection from downpours. The rain cover is extremely light and you can just carry in your pack in case you need it. The Borealis Pack is padded and fleece-lined with a 15″ laptop sleeve in the main compartment. There are two water bottle pockets designed with stretched mesh. The front has an elastic bungee for external storage. The back includes a mesh panel for staying cool and allowing for breathability. You can also remove the waist belt if you are carrying a lighter load. There is an internal organization pocket for protecting sunglasses and other electronics. The outer top zipper pocket is great for storing smaller, easy access items. The body pocket is also full of little pockets and zippers. The main compartment is divided into two sections. The Borealis is equipped with injection-molded should straps for extra comfort. There are also side compression straps to adjust the load. The Borealis features two columns of padding for even more comfort and ventilation. The additional padding allows for extra protection against items poking through to your back. The padding can be stiff at first, but it’s worth it for the added comfort. Over time it will also break in with use. The Lite is, as the name suggests, is a minimalist backpack system. It provides carry comfort for light loads with a padded back panel that is fully lined with ventilated 3D-Air mesh. This pack has extensive freedom of movement due to the atheletic v-cut shape. There are quick-access mesh pockets on the front, great for storing protein bars on the go. The Speedlite also includes a hydration resrvoir sleeve perfect for bringing water on a long hike. 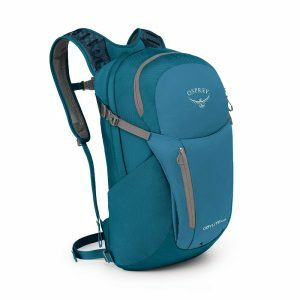 The weight of this pack makes it a great choice for runners, hikers, and other types of outdoor athletes. In order to allow for the lightweight nature of this bag, there is no padding on the removable hipbelt. This would only be an issue if you were planning on carrying heavy loads. The shoulder harness is s-shaped and includes padding with a soft edge. It has a a flexible fit that remains comfortable and stable for several torso sizes. The Speed Lite will also hold its comfort when loaded with items. This pack proves to be quite durable. It will protect your valuable electronic equipment, even when participating in outdoor activities. The zippers also seal incredibly well. 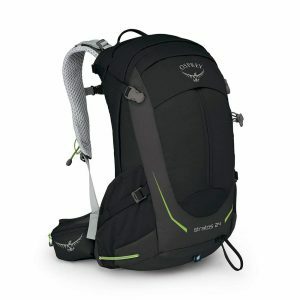 The Stratos is a very comfortable option for a daypack. It comes with an integrated raincover for extra protection against the elements. It also has an internal hydration reservoir sleeve so you can stay hydrated on the go. This pack is equipped with a stow-on-the-go trekking pole attachment. There are dual side pockets made with stretch mesh and a front panel storage pocket. This makes for plenty of places to store water bottles, snacks, or other small items. It’s not very light and doesn’t become extremely packable. However, it is very comfortable and reliable. 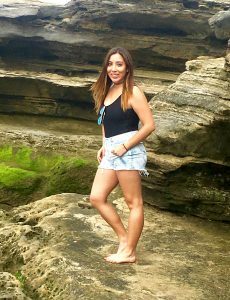 There are a few size options you can choose from to further customize to your needs. It can hold a max load of 25lbs if you need to carry a lot of items. The mesh back panel conforms nicely to your back, with plenty of padding. The metal frame places most of the weight on your hips, which gives relief to your shoulders. The solid structure and suspended back panel keep the pack from drooping under heavy loads. Your back will also be protected from the items carried inside. These features and the frame make this bag a bit on the heavier side. The Venturesafe is a lightweight, durable daypack that incorporates anti-theft technologies. It’s ideal for long hikes, international traveling, daily commutes, and carry-ons. The fabric is embedded with hidden eXomesh Slashguard stainless steel wire mesh to protect against slash and run theft. It is also equipped with adjustable wire-reinforced Carrysafe Slasguard straps to prevent cut and run theft. Turn and lock security hooks attach the strap to secure it to the fixture. The zippers are lockable for even more theft protection. You can connect this pack to a heavy piece of furniture due to the slash-proof straps. This is great for the traveler bringing plenty of valuable electronics and valuables. It is also a very comfortable bag. The Venturesafe is not weather resistant. Depending on your use, this may or may not be an issue. You can always look into purchasing a separate rain cover if you will be spending anytime outdoors. There is limited ability to adjust the shoulder strap length. The bag also sits slightly low, with no ability to tighten it to a higher position. With that in mind, you probably only want to use this bag for small, lightweight items. First things first, consider your needs and your traveling plans. Will you be in a city, outdoors, taking public transportation, etc.? Are you bringing electronics? 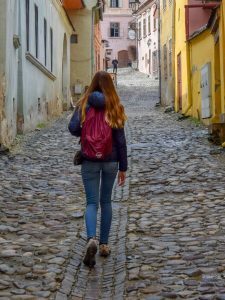 Once you have an idea of how you will use your travel daypack you can then take a look at certain factors to help you decide. Size is very important feature to consider when traveling. You want a pack that is big enough to carry your everyday essentials, but not to large that it weighs you down. Choosing the right size will depend on how much stuff you plan on carrying in your daypack. For most people, a 20L is plenty for a daypack. You most likely will not want to go over 30L. The bigger the bag, the tougher it becomes to navigate crowded transportation and keep secure. The most ideal daypacks for travel are going to be lightweight so that you don’t get exhausted hauling it around all day. Remember, you only need a back big enough to carry your essentials. You want to look for the most volume with the lightest weight load. This allows you to carry more as the bag will be spacious but not add much weight of its own. You’ll probably be wearing your travel daypack for long periods of time, so comfort plays a huge role when choosing the right pack. Bags with ventilated backs will provided breathability and keep you from sweating. You’ll also want to consider padded straps and padded hip-belts. This is extremely important if you will be doing a lot of hiking. You’ll be wearing your daypack quite often, so comfort is key. Safety should always be a factor when traveling. You want to make sure your important belongings aren’t easily accessible. For heavy duty protection, consider a slash-proof daypack. Many packs come with double zippers that you can lock together. This is great if you keep your wallet or any other irreplaceable item in your backpack. There are many pickpockets that make a living taking advantage of unaware travelers. Your daypack should be highly durable since it will be seeing a lot of use. Water resistant material is also a great factor to consider, especially if you will be doing a lot of hiking or camping. In order to prevent a musty smell, you’ll want to look for dry-fast material. Most daypacks are not 100% waterproof, but it can be worthwhile to search for a back that has water resistant qualities. The quicker is sheds water, the better of your items will be. You can also invest in a separate rain cover for extreme conditions. The more compartments there are, the more organize your items will be. This is great when you need to find a particular item in a hurry. The best packs will have three to five compartments to keep everything separated. Don’t forget about external pockets. These allow you to have easy access to non-valuable items like pens, notebooks, maps, snacks, and other small items. You’ll be carrying your daypack with you on short side trips, day hikes, city strolls, and on public transportation systems. 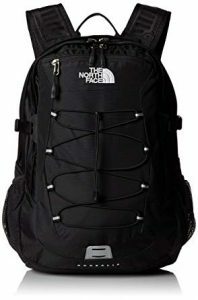 Therefore, you will need a pack that is light enough to not weigh you down, yet big enough for all of your essentials. A daypack functions as a bridge between the big trip that gets you where you want to be and the smaller excursions. It allows you to carry just what you need for the day and leave your main luggage behind. 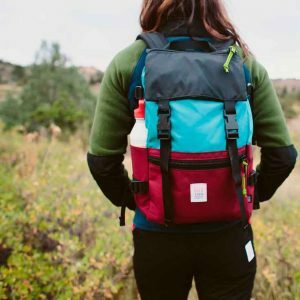 It’s pretty easy to neglect the daypack, but in reality, it’s an item you should take the time to get right. A daypack can spend the whole day on your back when you’re exploring a new city or on an extensive hike.